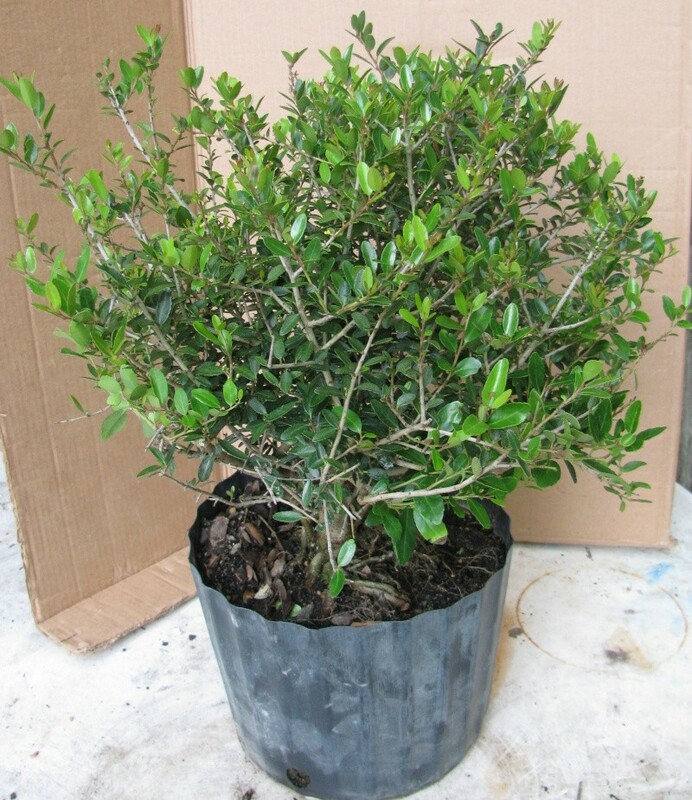 What to do with this dwarf Yaupon holly? I was at Lowes today, and decided to stop into the garden department. While there, I found this neat little tree, which has some really interesting features. 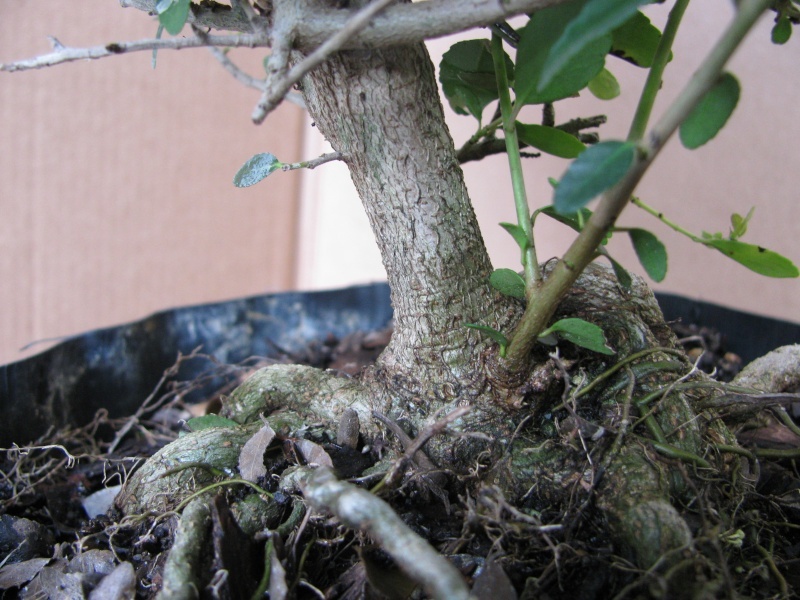 From soil level to the apex, it's about 15 inches tall, and has a very powerful bases with thick service roots. The leaves are also quite small, and it has a very dense set of branches. and here you can see the roots. There is however, one major flaw. The trunk of the tree has an odd, oblong shape. When you view it from one angle, it appears much thinner than from another angle. I'd like to know, do you think I should try live with the strange shape of the trunk and try to work off of the interesting roots and natural broom style that the tree has formed; or should I attempt to chop the tree, and develop a new trunk over the coming years? I read in another thread that this species back buds easily, so I think it might be worth a try. What do you think? Re: What to do with this dwarf Yaupon holly? Youpon holly do indeed make very nice bonsai, but I think you have chosen one that is going to be quite a lot of work. The surface roots appear to me to be too large and haphazard to contribute to an obvious design, and there seems to be no way to rearrange them without major surgery. As a start, I think you will have to remove the root that emerges high up the trunk on the opposite side and circles the trunk, as well as the larger one (picture 2) that is closest to the camera. Maybe you can eventually create a gradual swelling at the base. Good luck -- and use this one as a learning experience. JimLewis wrote: Youpon holly do indeed make very nice bonsai, but I think you have chosen one that is going to be quite a lot of work. The surface roots appear to me to be too large and haphazard to contribute to an obvious design, and there seems to be no way to rearrange them without major surgery. As a start, I think you will have to remove the root that emerges high up the trunk on the opposite side and circles the trunk, as well as the larger one (picture 2) that is closest to the camera. Maybe you can eventually create a gradual swelling at the base. Yeah, it was only 10 dollars, so I'm not too terribly worried about making some mistakes on it. Do you think it might be possible to cut it back and create some sort of clump style? Would it possibly bud off of the roots themselves? I think that tomorrow, I will cut back some of the excess foliage and examine the roots a bit more thoroughly. 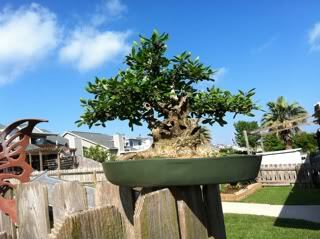 Florida is bonsai hog heaven. I suggest you join the nearest bonsai club. Clubs often have nursery crawls where the more experienced members show people what to look for when buying starter plants. I also suggest you don't cut anything off this tree, except what Jim mentioned, until you join a club and have the experienced members show you exactly what to do. All you can really do with this tree IMHO is plant it in the ground and forget about it for a couple of years. 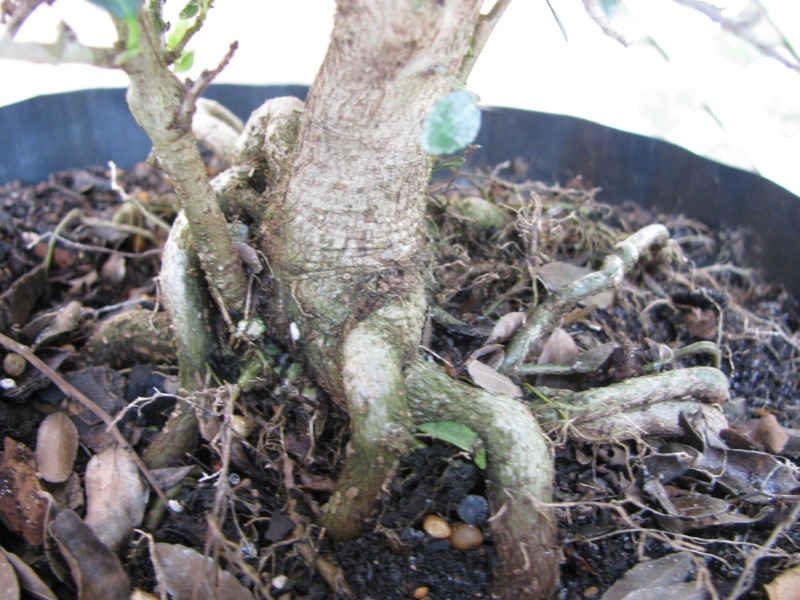 They do make great bonsai, but the older garden rescues make the best. Here's one I rescued two years ago. Do you think it would be possible to do an air layer at this time of year? I think it might be the best way to keep both the roots and branching of the tree, while also getting rid of the ugly trunk.